Planning a trip to Greece but don’t know where to start? 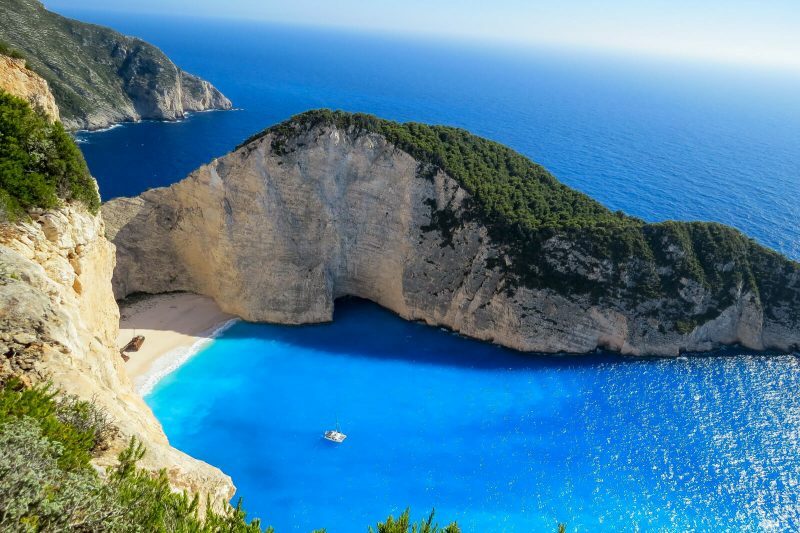 Check out this Two Weeks Greece Itinerary and enjoy the wonders of this awesome country. Greece is a country with tons of culture and adventure. While most travelers focus on partying hard in one of Greece’s more than two hundred inhabited islands, there is way more to this country than what meets the eye. 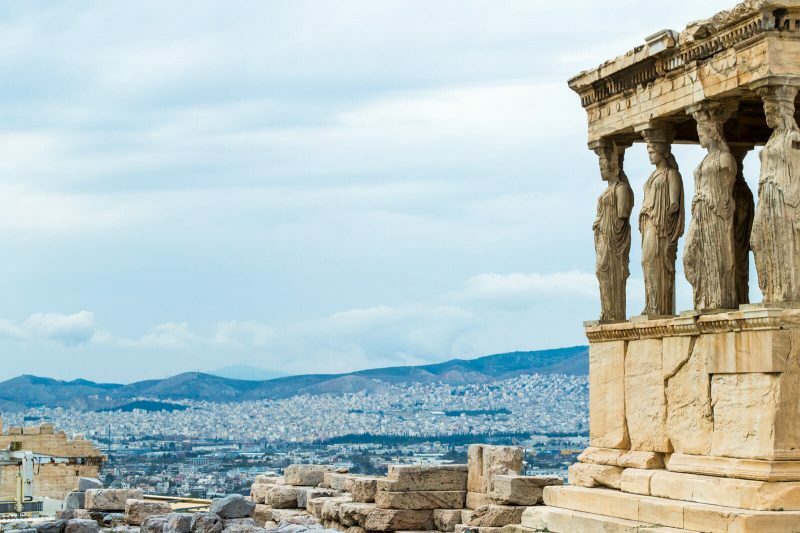 From Hellenistic Temples that overlook one of Europe’s coolest capitals to ancient monasteries hidden between majestic mountains, Greece has a little bit of everything for everyone. Interested in exploring it? Here’s a sample Two Weeks Greece itinerary for you to enjoy! Ready to chomp on endless feta cheese my wonder friends? 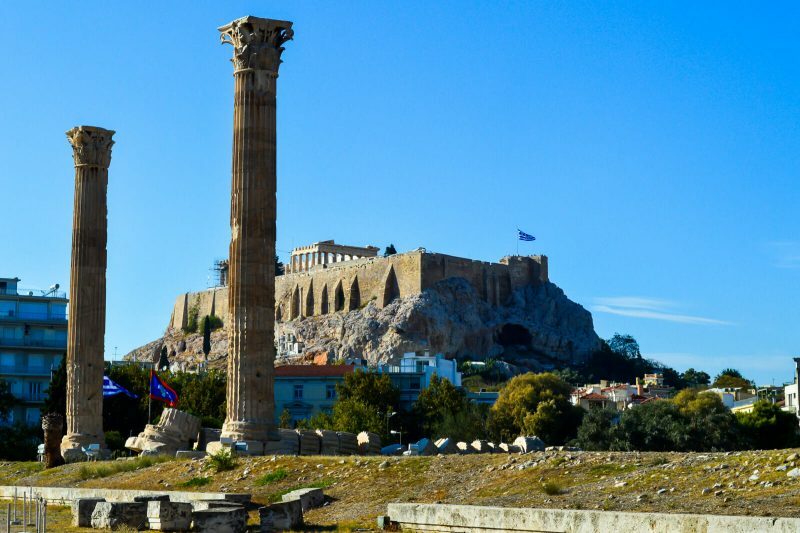 Your first and probably most important stop in terms of culture in Greece is without a doubt Athens where you will find yourself immersed in the Greek way of life. It is also here where you shall find Greece’s most important Hellenistic Temple: The Parthenon, located in the wonderful Acropolis of Athens. Athens is also the crossroads from where you can start your journey by ferry to some of Greek’s many islands or to continue further in-road to the historical Peloponeso Peninsula, the Magical Monasteries of Meteora and the vibrant Thessaloniki. 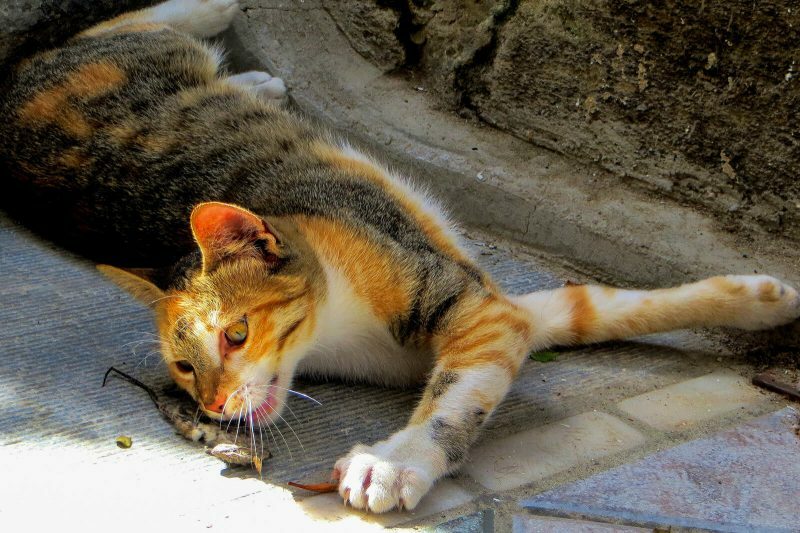 Other than museums, my favorite part of being in Athens is to simply talk to the locals and listen to their stories. They’re proud of being an Athenian and maybe one day you’ll become one too. Athens is today one of Europe’s coolest capitals and it isn’t hard to understand why. With its bustling nightlife and its many up and coming hip cafes, soon you’ll be considering basing yourself here as an expat! 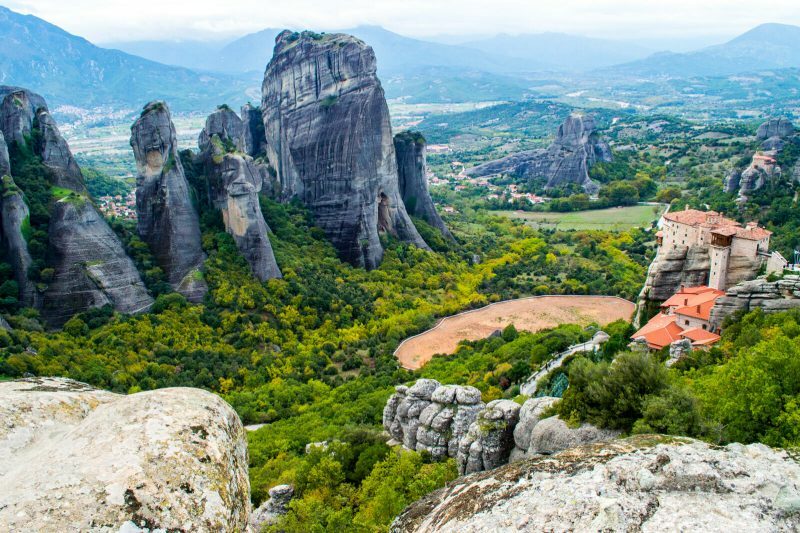 Located about 4 to 5 hours north-west of Athens, Meteora is unlike any other place you’ve ever been or imagined and it’s best done by spending at least a couple of days here in order to soak in its majestic beauty. Sure, the mountains by themselves are already impressive but the monasteries that the daredevil monks built on top of them? Those are the icing on the cake my wonder friends! The Magical Monasteries of Meteora were built in the 14th century by the Greek Orthodox Monks in order to avoid the persecution from the then-ruling Ottoman Empire and whoa did they choose a very dramatic hiding place! 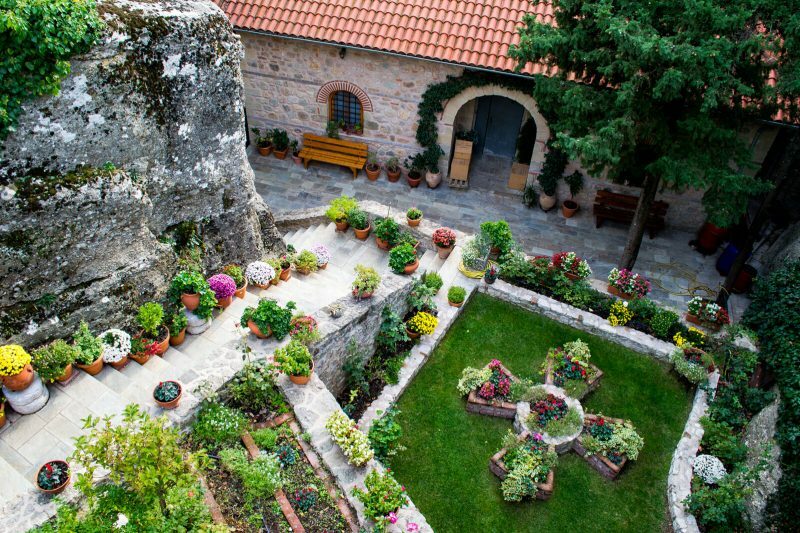 Today, all of Meteora’s monasteries are active although some of them are open to the public. If you don’t have a car for easy movements, the next best options are to rent a bike or just to book an on-site tour of Meteora once you’re there (don’t book it from Athens or it’ll be super expensive!). 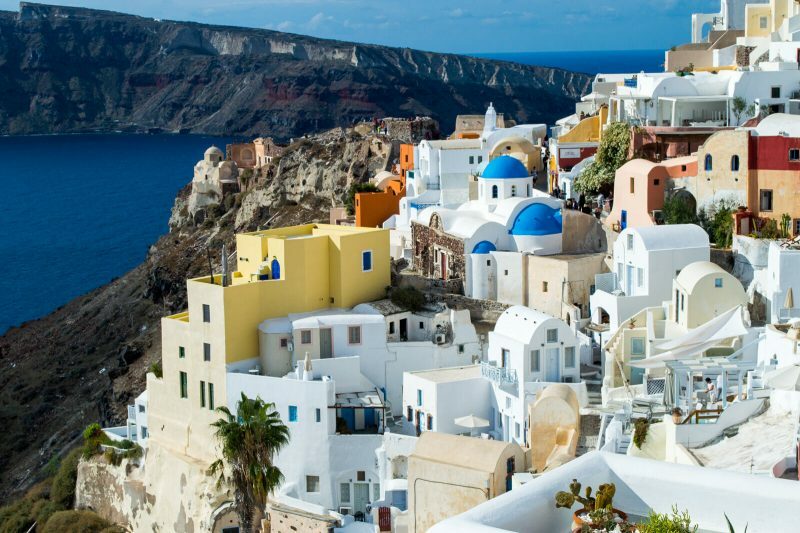 If there is ONE island that you cannot afford to miss, that one is definitely Santorini (although affording Santorini’s prices might actually be hard!). Considered by many as THE honeymoon destination, Santorini’s beauty lies not only in its exterior but also in its soul. 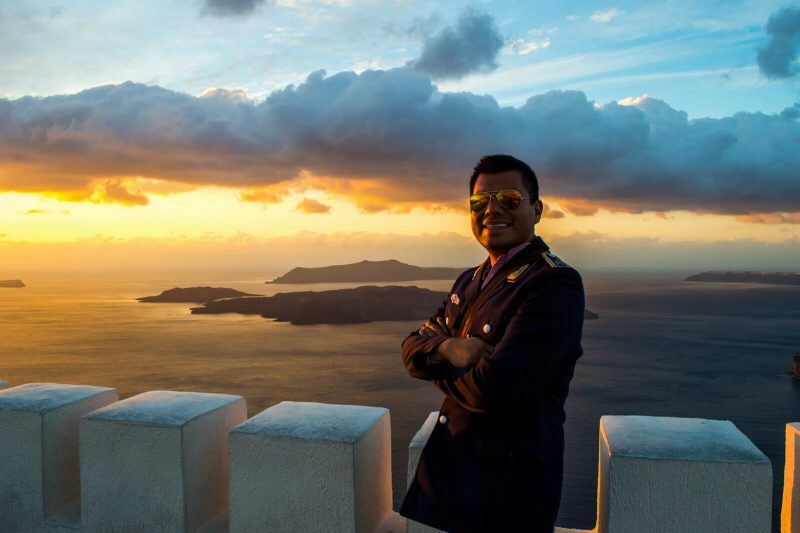 I first visited Santorini back in 2014 and even though I was with a group of friends instead of a loved one, I still managed to have the time of my life! Santorini is a fairly big island with many villages (of which Oia, located at the northernmost point) is the most picturesque and most expensive one. For budget travelers ,the best option is to stay at Fira and take a day trip to Oia just in time for one of the best sunsets of your life. Sure, Santorini can be REALLY expensive but doing it on a budget is not really impossible. That being said, if you’re looking for heavy partying, Santorini is definitely not the best choice(you can read all about my failed attempt to celebrate Halloween in Santorini here). Greece has more than 6,000 islands although only 227 of them are inhabited. And even though Santorini, Myknos and Ios are probably the most popular ones world-wide, Greece has a lot of variety for those who prefer to stick to the off the beaten path. Have you ever heard of Koufonisia? 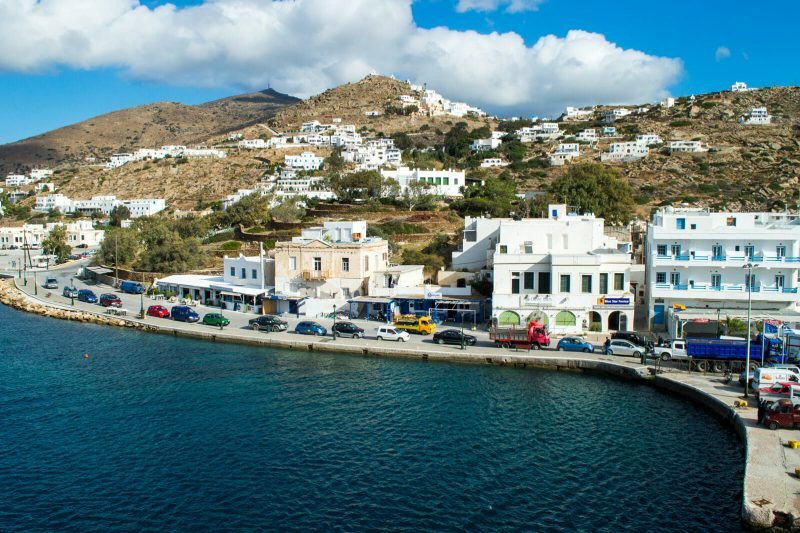 How about Patmos? Does the name Karpatos ring a bell? 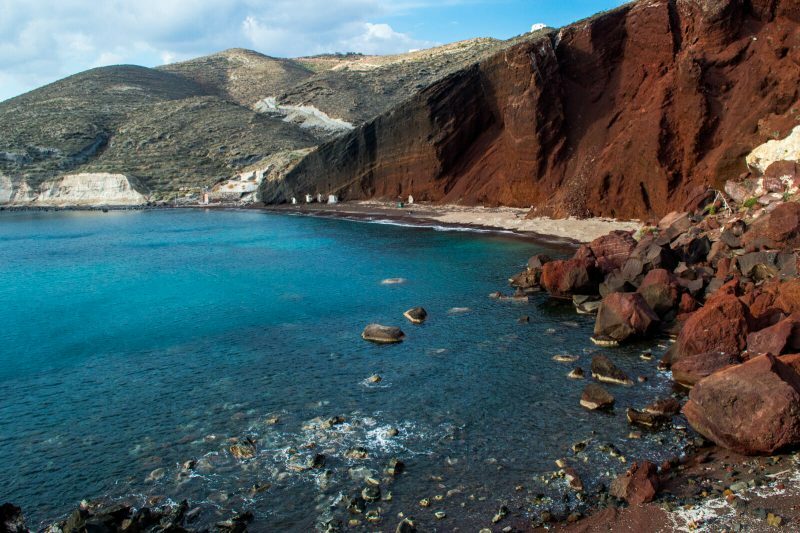 For all of these islands and more, check out this awesome article about 20 Greek Islands you’ve never heard of. I really got a full case of wanderlust after reading it! Traveling by ferry from one Greek Island to the next one is fairly easy and with many different departure time so you shouldn’t worry about booking flights between them which can be a hassle since a good share of them stop in Athens for a layover. Who’s ready to sail Greek style??? I know I am!!! Accommodation in Greece is available for all types of budgets with the most luxurious places are located mostly in the islands (specially the honeymoon-favorite Santorini, seriously, it was hard to find anyone that wasn’t a newly wed!). Just remember to always book in time and don’t be afraid to exhaust your options when it comes to finding the best deal. You can make a booking for some of the best Greek properties via our Booking.com Affiliate Link of Wonders! I hope you have enjoyed this two weeks Greece itinerary. Don’t forget to subscribe in order to get more awesome updates and tips straight to your e-mail! Have you ever been to Greece? Would you like to? Share your thoughts and let me know what you think of this amazing country! Greece is wonderful place in Balkans.It is really beautiful place to travel.Temples make Greece religious. thank you for sharing such a good,interesting and beautiful place experience with us. Some great tips there, but I’d also include a side trip or two from Athens – Particularly Delphi! A great site to visit, and often described as the center of the world!